A leader in Mexico for residential and commercial real estate by actively engaging developers, investors, retirees & vacation home seeker. In late 2007 Century 21 Sun & Sand of Puerto Peñasco (aka: Rocky Point) experience a revival, unlike any brokerage had experienced in this growing resort town. By merging with Mexico Real Estate & Yacht Club and making Heidi Wosak their CEO and Designated Broker they embarked into a new successful chapter in the franchise’s history. Over the past year the leadership and tenacity to change the franchise into a leading brokerage in Mexico and Rocky Point has proven to be a huge success story. Many of the seasoned professionals watched carefully as this franchise upgraded it location, its marketing advantage and its position in the market; not only locally but internationally. Going out of their way to advertise “Puerto Peñasco” as the fastest growing resort destination within Mexico, they positioned the franchise to be “The Gateway to Real Estate in Mexico”. With international exposure and first class networking and marketing, The Museo Dolores Olmedo chose Heidi Wosak of Century 21 Sun & Sand to represent the historical estate where Dolores Olmedo vacationed and is host to the Diego Rivera studio Acapulco. This represents a very unique art and real estate opportunity, as the estate features 5 of Diego Riveras murals, a tribute to his long time friend Dolores (www.houseofthewinds.com). Many of the strongest professionals in Peñasco have joined Century 21 Sun & Sand over the past year, bringing the team of professionals from only just a few a year ago, up to 16 total locally, as well as 4 more who work as affiliates in business development in Mexico City, Hermosillo, Denver and Tucson. 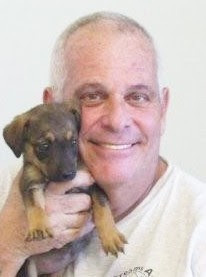 Rick Ramirez, one of the original founders of Sun & Sand heads the successful commercial and industrial division, which has resulted in new distribution centers in Penasco and a large commercial complex planned for Caborca. Century 21 Sun & Sand has proven to be a leader in Mexico for residential and commercial real estate by actively engaging developers, investors, retirees & vacation home seeker to locate, negotiate and buy the best properties in Penasco and other destinations around the country. Be sure to visit their website: www.century21penasco.com to meet their new team and review their exclusively listed properties in Puerto Penasco and other destinations throughout Mexico. Puerto Peñasco’s landscape has changed from the little fishing village it once was to a new development Mecca. Sandy Beach is the embodiment of the ongoing development; thousands of units have been built along the beach in just a few years. Where people used to camp, there are now multimillion dollar developments and even a golf course. Sonoran Resorts dominated the market in Sandy Beach with 4 resorts: The Sonoran Spa, Sonoran Sea, Sonoran Sun and Sonoran Sky. Earlier this year, Sonoran Sky’s units were all sold. There are now resales available. Their good name precedes them and record sales back them up, with many satisfied customers living their dream of an oceanfront condo by the beautiful beaches of Puerto Peñasco. The largest existing development in Puerto Peñasco is Las Palomas Beach & Golf Resort; there are currently 800 units and the plan includes 2000 residences, 1500 oceanfront condos and 500 golf course villas. Currently, Phase III is being implemented, with Phase I and most of Phase II already complete, including pools, BBQ areas and common grounds. Phase III’s first two buildings are about 65% sold, and prices range from almost 350,000USD to 1.9 million for a 5 Bedroom Penthouse. The first Phase III units will open in early 2009. Las Palomas has restaurants with renowned international chefs, the only Convention Center in town, and an 18 hole par 72 Golf Course. For visitors, there is a Sunday Champagne brunch in Citron, and a Beach Front Buffet on the weekend. During the Jazz Festival in October, there are dinner packages available at the conference center; for more details, visit www.laspalomasresort.net. Looking over to the Port, you can see the new Solace Tower. Condominiums are no longer unique to Sandy Beach, and the old port is joining the development frenzy with 38 boutique condominiums in a Mediterranean contemporary style. This building will rise above Whale Hill, with magnificent views of the sea of Cortez. Another noteworthy development is Tessoro Tower at the end of Las Conchas, close to the Morua Estuary. With its privileged Location, private elevators, upgraded finishes and countless amenities, it stands out from the crowd. It is still being built at full force, and Phase I should be complete by March 2009. Prices range from 526,000 to 2 million dollars. 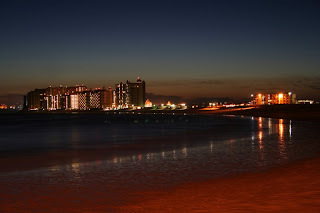 Puerto Peñasco has many planned communities; it’s a growing city with more developments than can be mentioned. There are less expensive residences in town, a few miles from the beach, starting at around 70,000 dollars. Growth is also spreading south; you can find planned communities through the coast heading towards Caborca. If you have never visited Puerto Peñasco, also known as Rocky Point, the fall is the ideal time to go: the weather is perfect and the ocean is pleasantly warm. Enjoy the Sea of Cortez, which Jacques Cousteau called “The Aquarium to the World” for its diverse sea life. Be assured, you will be warmly welcomed by the friendly people living here. Choosing your Mexico property with your realtor (see “Choosing Your Realtor” in Mexico Living, Sept. 2008) will result in finding the right property for you, taking into account your needs, expectations, budget, and dreams. The first step is to get to know the area with the help of your realtor. Get a map, an overview of the area from your realtor, and your realtor’s business cards. Drive around, stroll the beaches and streets, and visit with everyone. Drop into open houses and look at the developments, always presenting your realtor’s card to the on-site salespeople. The phone numbers you see on signs? Don’t call them, as that’s your realtor’s job. If you think you might be in love, photograph the property and the sign, and write down the phone number for your realtor. If you are willing to do this research, you will quickly eliminate areas you don’t like, and you may find the area that you do like. Chances are you will find several good possibilities, and now your realtor can find properties in these areas, in your price range, and that meet your specifications that you can look at together. Your realtor will make appointments, get keys, print out information sheets from the MLS, take you to the properties, and help you to evaluate how the property may meet your needs. If you have questions about a property, you can ask them together if you are at a development or, at individual properties, your realtor can inquire on your behalf. Often through the process of elimination, you whittle your list to one property—your piece of Paradise! The process of finding a property may require multiple trips to Puerto Peñasco. Between trips, you can surf the Internet and stay in touch with your realtor regarding your possibilities and new properties found by your realtor. If you just need a weekend to play in the sun with your friends, do that! But separate fun from finding property as a sunburn and cerveza do not mix well with a search for property. You are making a significant investment and taking your time, while working closely with your realtor, will benefit you in the end. One simple word sums up this incredible restaurant: atmosphere. The tables are set with elegant tablecloths and silverware, as well as a welcoming glass for your favorite wine. The staff is also pleasant and well-dressed, promising a quality dining experience. Mornings at La Finca are probably the most interesting of all, as business people congregate here for breakfast, socializing jovially with their co-workers before the workday begins. The parking lot is packed with BMWs, Mercedes, and Nissans, attesting to the fact that a wide range of business people choose La Finca as the backdrop to their morning ritual. While everyone enjoys their omelets and steak and eggs, a crew of car washers feverishly details the vehicles in the parking area. The contrast between the frenetic workers outside and the relaxed ambiance of the restaurant’s interior is truly amazing to behold. Evenings at La Finca are characterized by mellow music, romantic lighting and a fine dining experience. 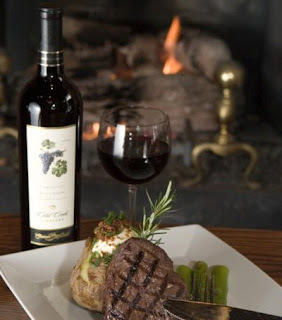 The most coveted seating is close to the fireplace (most favorable in Ensenada’s winter months), where you can cozy up to a bottle of Guadalupe Valley’s finest wines with someone special. The steaks are exquisite and the service is impeccable. In addition to providing a wonderful personal dining experience, the restaurant is equipped to handle large parties for dinner conferences or receptions. It is recommended, of course, that large groups call for reservations. This local establishment defines what a quality dining experience should be. La Finca is located two blocks south of The Corona Hotel on the main boulevard. Call (646) 172-5833 for reservations. 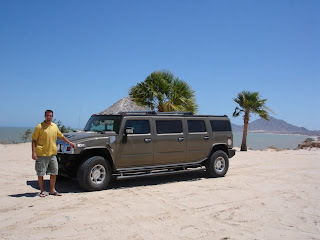 I have a home in Puerto Penasco, a few minutes drive from the beach. Living here, I have come to know life in Mexico. Not life in a beach house or an oceanfront condo, but life in the neighborhood. Early in the morning, we are awakened by a neighbor’s donkey, roosters and the barking of a dog. As the day progresses, there is unique music that announces each delivery truck in succession – the water truck, the gas truck, the fruit truck and the ice cream truck. Later, sitting in the hammock in the afternoon, I doze off listening to the sounds of the neighborhood. The mechanics are taking a break and I faintly hear their conversation with an occasional loud round of laughter. Perhaps tonight they will be grilling fish in their yard and will have their friends join them. Later in the early evening, I hear the whistle of the train. 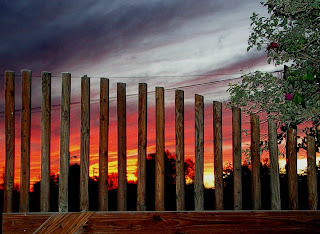 I watch through the rungs of my wooden fence as the train passes at the end of the street. I know if I walked down there, I would see the train rumbling past with the sun setting behind it and a dozen travelers camping out along the train cars. Because I am a gypsy at heart, I will be jealous for just a moment of their view: Traveling at the speed of a train through an unknown town, and briefly catching a glimpse of the ocean at sunset. Once in awhile I think of how I arrived here. In December of 2002, on a sunny morning, I found myself walking along the “dirt mall” in Puerto Penasco with my husband. Little did I realize that one tiny sentence that I would utter that day would change my life in such a dramatic way! That is when I said, “Let’s go look at it.” Thinking back, I am not really sure why I wanted to see this little house. For almost twenty years we had been coming to this beach. First we camped in a tent at the edge of the waves. Later, with three kids, we bought an old trailer to store at the beach. When we outgrew that, we stayed in a hotel or a condo for three or four day visits to Rocky Point – maybe twice a year. That was fine. Perhaps that day I was thinking that if we had our own little casita, we would visit more often. So, we drove up a dirt road and stopped in front of a tiny, one bedroom, rundown house painted bright turquoise. Spray-painted in black across the front were the words, “SE VENDE.” There was barely a roof, not quite what you would call a kitchen and stark concrete floors. This was certainly not a beach house; in fact, it was right in the middle of a typical neighborhood. Each time a car drove past, a cloud of dust settled in the living room through the roof rafters. Before we stopped to think, on December 30, 2002, we had put $500 down in an escrow account and headed back to Arizona. On our next visit in January, I had to laugh when I noticed that someone had spray painted a wide black line through the “SE VENDE”– this was the SOLD sign! Our family had a house in Mexico! For the next four years, every visit included some work on the house along with lots of beach time! Everyone in the family got involved and even our friends joined us for long weekends doing drywall, tiling, planting or painting. The house is remodeled now. Here I am content. At my front door is a plaque which reads in Spanish: “For today only, I will take care of this house and be happy!” Verdad. Their New Project Playa San Rafael is Safe Secure and Affordable with amazing conveniences to brokers, agents and buyers. “Safe, Secure, and Affordable” are words that brokers dream about when touting investments in Baja California’s residential resort communities. Playa de Oro and Playa San Rafael seaside developments in San Felipe boast these essential qualities. The two communities, led by Bruce Parkman and Randall Bolster, are developments of Parkstrong Management and Development (PMD), which has over twenty years experience, and are sold exclusively through San Felipe-based SeaMexico Realty. Back before the turn of the century, Bruce recalls that “most of the property was owned by ejidos (Mexican land co-ops). We would lease it from them, and it was large parcels. It was impossible to get a small parcel for a sub-division. Nevertheless, we had people who wanted to buy. The only thing we could sell in those days was the San Francisco development, the Hacienda development, and some lots in town. I thought that if we had a good sub-division, Americans would buy it – if we could make it safe and secure.” There are those two magical words again: safe and secure. Bruce added the last one – affordable. “We ran a real estate company until 1999. During the first years, 1994-95, we had a huge demand for property, but there was none,” says Bruce. That’s when he started looking around. Before 1993, a non-national could not own developments, so when Mexico changed the law and created trust ownership (fideicomiso) so that foreigners could own outright, in 1994 he formed the very first real estate corporation owned by a non-national in Mexico. You can visit Playa San Rafael in north San Felipe off Mexico 5 at KM 178. You can contact SeaMexico Realty’s sales office in Mexico at 011-52-686-576-0223, or from the United States at 888-433-5473. 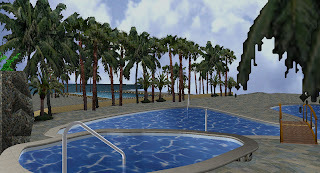 We are online at http://www.mexico-real-estate.us or http://www.mexico-real-estate.us/PlayaSanRafael.htm. C’mon down! Really good, traditional Mexican food, and lots of it, is the byword at Tortas Siria. Small, clean, and friendly, Tortas Siria started as a sandwich shop serving the men on the nearby naval base. Thirty years later, Sara Miranda León and three more generations of her family are busier than ever in the same location, and now serve a menu of traditional Mexican staple dishes at very reasonable prices. Tortas Siria serves up breakfast starting at 8 a.m.…juevos rancheros or chilaquiles will get you going. Popular with locals on the run, a daily lunch special, la comida corrida, is served from 12-1 p.m., in addition to the regular menu. The dinners, served at lunchtime too, are just plain wonderful…you might want to try bistec ranchero, a delicious dish of beef strips in rich, red sauce…seasoned beautifully, but not spicy-hot! The beef or cheese enchiladas are always very good, and the sopes are the best! All entreés are served with refried beans, rice, fresh vegetables, and hot corn or flour tortillas. Condiments, including salsas, chilis, and crema mediana, rich, thick cream which Mexicans drizzle over many dishes, are served on the side. Sodas are available to drink, but you might want to try a tall glass of freshly made jamaica, hibiscus flower tea, or horchata, a traditional Mexican drink made from rice. Both are delicious icy cold. Oops…I nearly forgot about where it all began…Tortas Siria still serves tortas, and the sandwiches are still great! Cost? Sandwiches $3-4, including fries; dinner under $8 each, including drinks! Tortas Siria, open from 8 a.m. until 9 p.m., except on Wednesdays, is located on Avenida Luis Encinas, at the corner of Calle 14. From Blvd. Benito Juárez (the main artery through town), turn west (right) onto Calle 13, also called Avenida Miguél Hildalgo, where the walkway over the street is located at the traffic signal. Cross the railroad tracks, and turn north (right) at the traffic signal at Avenida Luís Encinas. Go one block, and look for Tortas Siria, painted orange, on the southwest corner. Call 383-5527 for take-out or delivery to your home, condominium or hotel. ¡Buen provecho! Photo credit: Kristy Deegan and Stan Shifflet in front of their Playa de Oro offices. Sixty-five years of combined management experience helps build dream homes. San Felipe Management Services is the result of sixty-five years in managing people and projects for partners Kristy Deegan and Stan Shifflet. In May of 2005, they launched the San Felipe Management Service. The SFMS team consists of the owner, the architect, the contractor, the legal team, the interior designer, the finishing contractor, and the building inspector. San Felipe had a need for a professional construction management company to be the eyes, ears, and voice for absentee owners during construction. Many fall in love with the area, and buy a piece of Baja, but then what? This is where San Felipe Management Services comes in. “People hire us for peace of mind,” says Kristy. Kristy and Stan have developed detailed processes and procedures that bring the team together in two phases: Phase I converts the owners’ dreams into drawings that meet their cost and schedule goals and comply with all developer and government regulations. In Phase II, team members oversee the construction, provide detailed reports and pictures of the progress (via a website), resolve issues and concerns among team members, control payments to the contractor, and ensure that the project is completed on time and within budget. They monitor the payment of social security and withhold final payment to the contractor until the Letter of Liberation is in hand—a worry free experience. San Felipe Management Service is increasingly involved in managing custom homes, homes for developments, managing commercial projects, and inspecting homes for lending agencies. Kristy and Stan call San Felipe home and they want you to do the same. Some things just happen by chance, but great things often happen because visionary leaders lay the foundation for future growth and success. Such is the case for the beautiful seaside port city of Ensenada, in Baja California Norte. The landscape itself is stunning; blessed with a scenic harbor, a pristine coastline, majestic mountains and island views. It’s proximity to the international border, yet it’s pleasant distance away from the border congestion and confusion, makes this charming “city by the bay” a most desirable vacation destination and home for local and international residents. In addition, Ensenada is the gateway to Mexico’s premier wine country, with over twenty high-quality wineries and tasting rooms just twenty minutes away, and offers access to the “real” Baja California south and east of town. It is the entry point to Baja Sur and maintains an important hub that leads to the serene and tranquil village of San Felipe. All in all, Ensenada is the most desirable town south of San Diego, and many people are discovering that it is the place to be for those who love perfect Mediterranean-like weather, an abundance of convenient amenities, safety and security. Furthermore, it has become Mexico’s food and wine capital, with a diverse selection of gourmet culinary businesses. Ensenada is a close-knit community with the largest population of Ph.D.-educated individuals in Mexico, and there are over fifteen institutions of higher learning within the city limits. Many of the city’s residents have a deep commitment to preserve and improve the quality of life for all its citizens. One of Ensenada’s visionary leaders is Jorge A. Guevara Escamilla, owner of Excel Constructora of Ensenada and a founding member of Vision 2025. His company builds infrastructure for local, municipal, state and federal projects including bridges, highways, water systems, sewage treatment facilities, pavement and earth-moving projects. I spoke with Jorge over wine and salad at Capricho’s gourmet food and wine bar across from the original Hussong’s cantina in downtown Ensenada. Lately, this elegant wine bar has become a meeting place for town visionaries, planners and promoters who see the challenges and possibilities that appear in the city’s bright future. Everyone seems to agree that Ensenada’s time has come. Guevara Escamilla and other city leaders are making plans and taking direct action in preparation for the coming boom in housing, commercial development, infrastructure creation/repair and tourism development. In addition, the federal government has dedicated over US$35 million dollars to this port town for infrastructure development and for a desalination plant that will produce a minimum of 250 liters of drinkable water per second. Ensenada appears to be the choice for many people seeking a safe and secure location with nearly perfect weather and a close proximity to the international border. City leaders and planners are moving forward with infrastructure improvement projects and are setting the stage for Ensenada’s bright future. Now might be a great time to invest in this area, or at least come and take a look for yourself. Discover the magic of Baja California’s charming seaside port of Ensenada. Some things just happen by chance, but great things happen by planning. It’s there waiting for you, and golden opportunities are abundant! Private Beachfront Home - One bedroom home with large living room, kitchen, appliances and AC. Located on bluff over beach with fenced in yard, $650 dollars per month. Call 686-109-9544. San Felipe-based company provides homeowners a complete range of services. Redwagon was founded in 1999 by Pam Pastore and has been attending to homeowners’ needs ever since. Pam has over 12 years of experience in property management and home care, and recognized a need in San Felipe. This San Felipe-based company provides homeowners a complete range of services, from managing their property to selling their home, as well as marketing the property for rental and maintaining all the services associated with that rental. A dedicated team of professionals, Redwagon is able to provide the best possible services at very reasonable rates. Property management includes a variety of services. Pam or Barbi will personally pay owner utility bills while they are out of town, coordinate with gardeners to keep the property clean of debris and landscape maintained, as well as handle rent payments and/or collection in the event a home is rented. In addition, they inspect vacant properties each week, oversee repairs needed to the home, and report all activity to the homeowner. Redwagon’s housecleaning team will perform any kind of cleaning necessary. They do all the leg work, so owners can rest easy knowing that their San Felipe home is in good care. Redwagon maintains a list of local properties for rent, both long- and short-term, to accommodate the needs of travelers and residents. Managing these properties is their specialty, making the vacation or rental home-hunting a smooth transaction. Visit them online at www.sanfelipepropertyservices.com or call (686) 576-0081. Ask for Pam or Barbi. 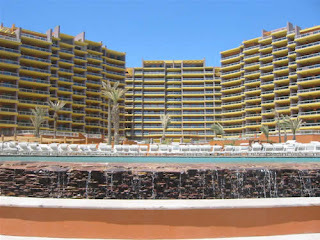 You can also visit www.sandollarcondotels.com to see beachfront condos they offer for rent. October... the month of change: No longer on the American East Coast, I find myself longing for the colors of the leaves, apple cider, my favorite sweater, and Halloween. As kids, we would carry home pillow cases of wrapped candy and spend the end of the evening sorting it all out. A good solid chocolate bar was pure Gold, and we were lucky to get a dozen or so of those. Our diminutive town would section off store front windows, and a contest would be held to see which Halloween painting (by age group) merited an award. Witches, pumpkins, black cats, owls, haunted mansions, ghosts, silhouette trees, and various moons invaded our town of every size, description and interpretation. I painted with childlike delight, as did every contestant, hoping for a prize or ribbon. When we were driven down the main street of our town, we could see the spectacular results during the day or at night! We loved the moons. Few of the painters left out this most important element. A few weeks ago, I settled into a great Baja Nap on my front porch in the late afternoon. It had cooled down quite a bit and the breeze made me chuckle about my real estate choice. No doubt I was still smilin’ as I drifted off into what I call..... San Felipe Bliss!!! Marge was kindly impressed. She had seen many a moon like that in the San Felipe skies. So, the world wasn’t ending? The soaring Star Wars music in my head pinched out a few chords through my nose, and dwindled down to something that sounded like a kazoo. Fine then. This moon thing happens here. But how? Here are the basics. White light from the sun is a mixture of all the colors. When a ray of white light passes through the Earth’s atmosphere, just grazing it, molecules and aerosols in the air scatter blue light making the sky blue. The remaining reddish light is bent, refracted into the Earth’s umbral shadow zone. As our planet casts a long shadow twice a month, the moon passes directly through it. 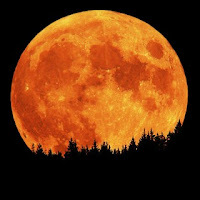 This gives the moon a coppery or reddish glow. What you are really seeing is every sunrise and sunset on Earth all at once. There is no other real estate in the world that I would rather be retired in. GEEZ.....if I had only thought of painting my Halloween moon.....red... I might have been a winner. Street Dogs and Pets Experience the Benefits of Spaying & Neutering! Since ZAPP (the Zero Additional PUP-ulation Project) started doing spay and neuter clinics twice a month, the local Mexican community has really gotten onboard with our program. Every two weeks, the “Shout Out” Cars spend six hours inviting the public to bring their pets to the weekend event. We’ve noticed as many as 90-95% of the folks bringing in the street dogs and cats, as well as their own pets, are from the local neighborhoods. The best part, aside from the fact, that we are successfully “halting” the dog and cat population explosion in San Felipe, is that these dogs will ultimately live longer healthier lives, as a result of sterilization—less dogs hit on the road by speeding cars, because they no longer chase female scent, and females who have had litter after litter are lining up to thank us for the work we do! Since January ZAPP clinics have fixed 656 dogs, cats, puppies and kittens. I’m told called “4 Patas”, or Four Paws. “Por Gente los Animales” out of Mexicali is at work and active, as well as the “Give Some Life Foundation” in Tijuana. These grass root volunteer run organizations need all the support they can get, so if you’re a “closet” animal advocate and live in any of these cities and towns, now’s your chance to “come out” and step up. There are many ways to help! ZAPP Spay/Neuter Clinics in San Felipe are scheduled for October 11th & 25th, November 8th & 22nd, and the last clinic of the year will be held on December 13th. Our clinics are run under the direction of Dr. Antonio Solis, a Surgical Professor from the University of Baja Veterinary School, and clinics are held at Conalep School on Manzanillo in San Felipe. Surgeons work on collapsible ironing boards, and clinics are staffed by volunteers. If you are involved in a humane rescue effort or spay/neuter project in Northwest Mexico, please contact me at bajaanimalrescue@yahoo.com so we can give you the support and exposure you need to help you get the near impossible job done in your community. Dr. Jason Arias has been practicing dentistry for 12 years. Since 2002, he and his wife, Dr. Lexa Paola Rey G., who also specializes in orthodontics, have been working in San Felipe. 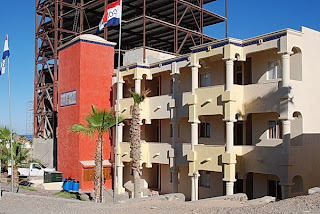 Initially they only came to San Felipe once a month to provide orthodontic and orthopedic treatments. But by 2006, their work was increasing and they had to start making more frequent trips. They decided to establish their own office in San Felipe and offer a full line of dental services. Dr. Jason Arias began his career in dentistry at UABC in Mexicali, with the specialty of orthodontics and prosthetics, and in Guadalajara at the National Institute of Orthodontics and Orthopedics Maxilar (the bones that form the jaw). Today, they offer general dentistry work, including cleaning, extractions, bleaching, fixed bridges, crowns, and removable partials, in addition to orthodontic treatments (BRAC). In Mexico, dentistry is of the highest standard, yet it costs only a fraction of what it would cost in the United States. Even with these lower rates, Dr. Jason Arias offers a payment plan on treatments of general dentistry, depending on the work that is requested. 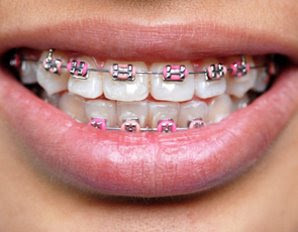 Plans of 12 to 24 monthly payments are offered on orthodontic treatments. 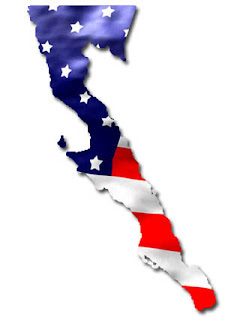 Dr. Jason Arias’s office is located in downtown San Felipe, off Mar Caribe Sur at Ensenada. Their office hours are Monday through Friday, 9AM - 1PM and 3PM - 6:30PM, and on Saturday, 9AM – 1PM by appointment. Have you ever had the idea that you would like to wet your toes in the Sea of Cortez while sitting in your living room? That’s how every single condominium at Palacio del Mar feels! Located practically in the water on the Mirador beach, this wonderful small community’s second building rises seven stories high. Palacio del Mar is the first condominium community that is within easy walking distance to all the activities in the Mirador, where restaurants and nightlife abound. As well, the owners of Palacio del Mar condominiums will be the benefactors of city planning: the downtown boardwalk will enable residents to have the entire Old Port within walking distance. Each of the seventy condominiums in the new building has unobstructed vistas of the Sea of Cortez from the great room and the garden-style master bedroom. Brick dome boveda ceilings, luxury finishing, granite countertops, and stainless steel appliances are standard, and are included in every purchase. Prices range from $259,900 for second floor condominiums to $329,900 for top floor units. Developer financing is available for up to thirty years, with a 20% down payment. The sales team at Palacio del Mar, headed by Gretchen Ellinger of Century 21 Sun and Sand, is very excited about these new condominiums! The on-site sales office is open daily from 9 a.m. to 5 p.m. The staff would love to show you the absolutely gorgeous model which was decorated by Eddie Juarez of Diseños Casa y Jardín, and will help you with the details of purchasing one of the most beautiful condominiums in Puerto Peñasco! Rental condominiums are also available. To get to Palacio del Mar, go south on Avenida Campeche (in front of Banamex) from Boulevard Benito Juárez (the main artery through town), until you reach the end of the road. Turn west (right), drive one block, and you will see Palacio del Mar on your left. 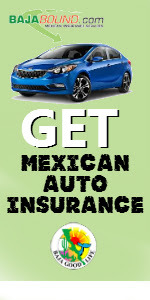 Come in to see what the excitement is all about, or call 602-449-0157 (US) or 388-0516 (local in Mexico). The words that follow are not “The Great American Novel.” I am no Hemingway, folks. These are observations, vignettes, and moments from a brain slightly addled by today’s spectacular sunrise. Included here are far more questions than answers and far more silliness than brilliant truisms. It was that damn bus trip. It was the promise of two days in San Felipe, Mexico, free burritos and margaritas and an overnight away from removing the ticky-tacky wallpaper put up at home by the former owner. Excuse me, but when did Home Depot start selling “super-glue” as a wall adhesive? But I digress. Ah, yes, the bus trip. It was a sunny, windy morning at the San Diego Airport when a nice looking fellow, clipboard in hand (which always says to me that this guy must know something I don’t), asked if we were going to El Dorado Ranch. Where? I told him our name and asked if we were on his list. Affirmative. With no back-up plans, we got on and got comfortably settled in our seats. I reminded Dan, my husband, that as a former Realtor, I knew something about the set-up. Some Realtors would schmooze us, soften us up with food and drink, then try to sell us acres and acres of worthless land where we would get bitten by snakes, die and be eaten by coyotes. “WE’LL NEVER SEE OUR CHILDREN AGAIN!” So, here’s my plan. First thing we tell these guys is we’re not buying anything. We’ll offer up some scintillating conversation in exchange for their hospitality, but WE’RE NOT BUYING ANYTHING. La Perla del Mar: A San Felipe Family Develops an Small Exclusive Community at South Beach. It was a little over four years ago that Andrew Wehe stumbled upon the sandy beaches of La Perla del Mar. Having grown up with San Felipe as his second home he knew all the many wonders that it has to offer, and wanted to share them with others. So, when the prospect of developing a community in South Beach presented itself he jumped at the opportunity, and brought his family along. Feeling such love for this land and its people is really where the Wehes inspiration for La Perla del Mar began. With a little over 12 acres of prime beachfront property La Perla del Mar’s 39 lots are uniquely exclusive. Situated on a majestic private cove just minutes south of downtown, you are so close to everything yet feel so far away. The comforts of home surround you in La Perla del Mar, with a community area that will includes clubhouse, swimming pool with swim-up bar, botanical gardens, lounging areas, and barbecues. Not to mention that each lot comes with underground electricity, potable water, and sewer hookups. And beach access is centrally located for all La Perla homeowners. It is of great importance to the Wehes that they provide La Perla’s homeowners with a sense of security. That is why they offer you the option to acquire Stewart Title Insurance to secure the purchase of your property. Also, La Perla is a private, gated community with onsite 24 hour security, allowing you to rest assured that you and your home are safe. As the Lions Club begins the fall season under the leadership of new president Hal “Paco” Clark, the club continues to grow by leaps and bounds towards Paco’s goal of 100 members by the end of his term. In the month of September we inducted 5 new members and have received applications from several future members adding to our membership of 90 at this time. This growth is exciting as we continue to serve the needs of the community of San Felipe. Some of our fundraising projects such as our Penny Press sales have continued through the summer and as the season begins we now get into full swing. “The Paws” food wagon will the serving breakfast every Saturday morning at the Cachanilla Swap meet and will be at the Pete’s Camp Poker Run on October 11th serving breakfast early in the day then hotdogs and hamburgers, popcorn and snow cones later. Look for “The Paws” food wagon at many upcoming events this season. “The Lions Club Turkey Trot Poker Walk” will be held on November 15th this year and Trotters will visit 6 bars. Tickets are available at all participating bars, Fandangos, Bar Miramar, Fat Boys, Bandidos, Beach Comer and the Light House as well as from Lions Club members. The tickets are $25 or $250 pesos each and will include a drink at each bar (choice of a margarita, beer, soda or $1.00 off a bar drink), your playing cards at each location and a Spaghetti Dinner. The dinner will be donated by Cliff and Sues Los Arcos Restaurant and will be served from “The Paws” food wagon in front of Fandangos after the Trot. For those “Trotters” who want to enhance their chances, you will be able to purchase one extra card at your stop at Fat Boys. Door prizes, including frozen turkeys will be given away so you don’t want to miss the “Turkey Trot Poker Walk” on November 15th. You may just take home your Thanksgiving Turkey or maybe you’ll be the Lucky Winner this year. Our biggest fundraising event of the year, the 3rd annual “Blues & Arts Festival”, is already scheduled. This will again be, The “Event of the Season” for San Felipe. The Lions Club has been working on this event since the close of last years successful “Fiesta” and this one will be even bigger and better, Blues & Arts lovers. Great bands, more artists and more fun. So mark your calendars now for March 28, 2009. These fundraising events and our smaller ones as well, help us to help the people in need in our community. The Lions Club and our main project, “The Sonshine Hacienda”, have grown together in this past year. The Sonshine Hacienda is a special needs work in progress to provide a home for children at risk because of abuse, neglect, abandonment or who have been orphaned. Pastor Gary Lewis, now vice president of the Lions Club, and his wife, Karen, head up this mission. When the project is finished it will provide a home for 50 children and help them to grow to be physically, mentally and spiritually stronger. Many donations for this mission have come directly from our generous Lions Club members and from other Lions Clubs in the US and Canada. $1,000 from the proceeds of the Turkey Trot Poker Walk will go to benefit the Sonshine Hacienda as well. The Flying Samaritans is another project that the Lions Club is proud to be working with. This group of dedicated doctors, nurses and pilots fly here 3 times a year to give of their time and expertise, at their own expense, to help those in need in our community. Last week Lions members registered 44 patients who were then seen by Doctor Marquez with the assistance of local nurse, Blanc Hafcamp for prescreening at Central de Salud. On Friday the Flying Sam Doctors and nurses will see those patients selected and on Saturday will perform Orthopedic Surgery to help those with the greatest needs. We will also continue our Eye Glass Clinic’s to provide sight to those in need. Our first one will be announced soon. For those who are interested in getting involved in a service organization in San Felipe, we welcome guests to our meetings held on the 2nd and 4th Thursdays of the month at Cliff & Sue’s Los Archos Restaurant at 6:00 PM. The San Felipe B C Lions Club is a “smoke free” meeting and we invite you to join us. San Felipe offers a great variety of dining choices: Mexican cuisine from street carts to fine restaurants, Italian, Chinese, steak and of course great seafood. If chicken is your dining choice and you want to eat in the comfort of your own home, then one of the best in San Felipe is Armando Tacos – Pollo Asada. Armando Tacos specializes in flame-broiled chicken and steak, cooked to order and served hot either for take out, or you can have a seat in their small dining area with a cold soda, juice or water; no cervesa sold here. 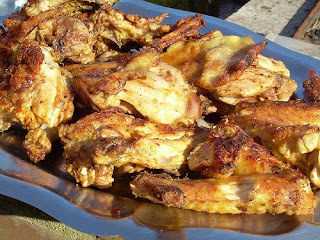 The chicken is seasoned to perfection and served with boiled beans, corn or flour tortillas that they make themselves and serve fresh and hot, and a fresh green salad with a vinaigrette dressing. Of course, if you’re taking it home you can hold the dressing for your favorite ranch or blue cheese pulled cold from your own refrigerator. The meals also come with diced cucumbers, radishes and if you ask, grilled scallions. Every Tuesday, they offer their especial which is a chicken and a half, for only $10. The especial is one full chicken on the bone, grilled to order and an additional boneless half chicken with mild seasoning. If you enjoy grilled chicken, then you owe it to yourself to stop into Armando Tacos and try their especial. You’ll savor the favor of their chicken and the best part is for only $10, you’ll get enough for several meals. Armando Tacos – Pollo Asada is located on Chetumal (the main road heading into town) on the left side, just past the power station if you’re heading towards the traffic circle. Photo credits: left, BC Gov. Osuna Millán, Pres. 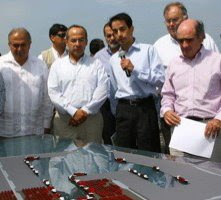 Felipe Calderón visit port and explain project to media. During the last few years there had been lots of talk of the possibility of a major port and rail line from Bahía Punta Colonet to transport goods to the U.S. Finally, the many obstacles that seemed, to many, insurmountable have been resolved and President Calderón formally announced on August 28th that bids are being accepted for the construction and operation of the port and rail connections to the border. “This project represents an investment of $50 billion pesos from private investors that are awarded the Concessions, which includes building a port and related infrastructure equivalent in scope to the modernization of The Panama Canal,” President Calderón explained. The need for additional maritime inter-modal Pacific Rim transport arises as U.S. westcoast ports, such as the ports of Los Angeles and Long Beach, are at capacity. In addition, the huge supercargo vessels of today cannot even enter those ports. The Punta Colonet port is a deep-water port that would be capable of handling service to those freighters. The port location is 140 kilometer south of Ensenada that includes port administration, a container terminal with room for 32 freighters as well as one, maybe two, rail lines for transport of containers to the U.S. Construction and operations of the project is expected to generate 83,000 jobs—24,000 during construction and 59,000 for operations—and is estimated to contribute around $500 million dollars annually to the economy. The rail line options include: Colonet to Mexicali, Yuma, Nogales or El Paso, though each bidder would recommend the most efficient route. There are plans to improve the Ensenada to Punta Colonet highway and to other locations in Northern Baja as well. Left to right: Adriana Garcia Torres, Administrative Assistant; Lic. Ricardo Moreno Villa, President; Yahaira Yarent Ramírez Leyva, Assistant to the President. The State President of the Citizens Public Safety Committee, Lic. Jose Carlos Vizcarra Lomeli, recently explained that Rosarito police authorities have, as of late, greatly improved. “That doesn’t mean their work is finished, on the contrary, there is still much to be accomplished. As citizens, we need to participate by placing complaints concerning abuse of authority, a practice we, as a society, are still very afraid to do,” he explained. “(Some) police have earned their reputation as being complicit with criminals, and many of them have been expelled. It is up to us to be vigilant and work with the police and other authorities who are, for the most part, trustworthy and reliable,” he explained. To that end, Rosarito now has its own Citizens Committee for Public Safety to help residents wade through the bureaucracy of public safety reporting as well as follow-up. The newly-elected president of Rosarito’s Committee for Public Safety, Lic. Ricardo Moreno Villla, and six members of the community, most of whom are bilingual, are actively involved in helping residents, with a storefront office located just one block east of the Kontiki bridge, next to a Bimbo bread outlet, and is open Monday – Saturday. Phone if 661-612-7657 for more information. Anonymous numbers for reporting suspicious activity directly to the Mexican military are 686-557-1095, 686-685-0297. 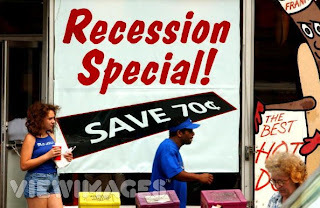 Technically, the United States economy is not yet in an economic recession, which is defined by two consecutive quarters of economic contraction/negative economic growth. However, many economic indicators are already indicating that, at the very least, a significant slowdown is in place. Compounded by the values of homes decreasing and US consumers facing a liquidity crisis, their financial reaches have been reduced significantly. So we must pause and ask the obvious question: How will tourism-based real estate in Mexico be affected as we enter the current economic slowdown? With a weakened US consumer, México is entering a period where affluent Mexican Nationals, Canadian buyers, and in some markets Europeans, will increase their influence. However, tourism from the US will remain strong increasing the demand for hospitality services. México’s attractiveness to US tourists only continues to increase as the Peso remains affordable, the Euro overwhelms the US dollar, and the cost of flying to Europe or Hawaii becomes more prohibitive. Second-home buyers in México transition through various phases within a real estate life cycle. For many buyers, purchasing a timeshare or fractional interest is their way of transitioning from being tourists into purchasing a property outright. During the current economic slowdown, some low-end buyers are more likely to invest in time-shares or fractional ownership than full ownership during this recessionary cycle. With the downtrend in home values in the US, it will be increasingly difficult to attract this low-end demographic to purchase until the market improves. Through the duration of the US economic downturn, time-shares and fractional ownership will be strategic products that allow for continued capture of historical/traditional US investment. When the US buyer regains liquidity and the dollar regains its strength, this demographic of US buyers will be in a perfect position to purchase condominiums and homes. It is important to distinguish among buyers in “drive-to” markets, such as Puerto Peñasco, Rosarito Beach and San Felipe, and the buyers from the rest of the Mexican tourist markets, or the “fly-to” markets. These drive-to markets cater to a demographic of buyers from the Southwest, with different characteristics from the majority of buyers in the other “fly-to” markets. In the past growth cycle, Puerto Peñasco and Rosarito Beach both experienced rapid increases in the number of new developments. Since the market peaked in 2006, absorption in these locations has declined significantly, and they are somewhat oversupplied with condominiums. This rapid increase in the number of developments was due to speculation on the part of investors and unsafe real estate practices of developers. These speculators mimicked the condominium trend in Miami, Phoenix and Las Vegas, and allowed developers to continue with projects based on short term demand. Developments that accepted speculators reservations and were never built have created a publicity nightmare for Mexican real estate. The fly-to markets, in contrast, have a much different dynamic. The most important distinction to be made among the fly-to markets is that they have the most diversity with regard to international buyers, and the most exposure to high-end buyers. This is extremely relevant in the current cycle. Due to the strength of the Peso, the Euro, the Pound and the Canadian Dollar, these markets can offset the weakness of the US consumer by shifting the marketing focus to other demographics. In many markets, developers will be competing on price more than any other factor. The effect of this, especially in markets with considerable inventory of product, will be a downward trend, or at the very least, stabilization of prices. However, in order for this to occur, developers will have to accept smaller profit margins on completed projects that are on the market, and proposed projects that are already in the pipeline. Well-established developers with proven track records and name recognition will gain an advantage during a difficult market. In addition to competitive pricing, projects that offer a wide range of amenities will be a key driver of competition. Once prices have been adjusted to meet the current market, buyers will look to amenities in making their purchase decisions. Bruce Greenberg of Valuaciones Montana Verde. They provide market studies and feasibility studies that ensure developers achieve maximum success. Bella Vista Homes has arrived! Bella Vista Homes—on the far east end of Sandy Beach, just off Blvd Las Palomas, on the dunes overlooking the Sea of Cortez and the golf course, has everything the discerning buyer wants: quality and style in a perfectly located low-density development. These homes are the logical choice for people looking for something different. The infrastructure is complete (paved streets, underground utilities and city water and sewer), as are the amenities (heated pool with lounge area, fitness center with a variety of top-quality exercise equipment, men’s and ladies’ showers and dressing rooms, and a community social area). Three homes have been finished, and their owners have moved in. The condominium model is nearing completion and promises to be the answer to the quest for an affordable get-away in a great location. Bella Vista Homes offers a different kind of entry into the Sandy Beach housing market. Rather than condo towers, Bella Vista Homes features a mixture of two-story townhomes and two-level condominiums, both of which have been carefully planned to take advantage of the wonderful views of the sea and golf course and to meet the needs of vacation homeowners as well as full-time residents. Prices range from $139,000 for a 2-bedroom, 2-bath condominium to $299,000 for a 4-bedroom, 2½ bath home. Developer financing is available for up to 30 years, with a 20% down payment. Wilfredo Montenegro, a respected architect/builder known for outstanding quality and amazing detail and finishing, is the driving force behind Bella Vista Homes. Gretchen Ellinger of Century 21 Sun and Sand leads the sales team. Drop by any day between 10 a.m. and 6 p.m. to meet Jessica Sylveira and Bernardo Sanchez, the on-site salespeople. See one of the beautiful completed homes and learn why a Bella Vista home is such a great value. 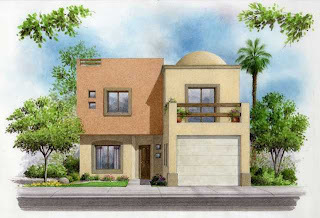 The telephone numbers for Bella Vista Homes are 388-7194 (local in Mexico) and 602-539-3674 (USA). The cross-border real estate game is evolving quickly and dramatically. Brave or foolhardy souls who bought Mexican land in days gone by routinely assumed nerve-wracking and often catastrophic risks. But these days it may be more financially risky to procrastinate about buying property south of the border, because prices are still attractively priced but may soon be out of reach. Foreign investment into Mexico now averages about $20 billion a year, and much of that capital infusion goes directly into real estate. Price appreciation is robust in locations throughout the country. Seven million North Americans travel to Mexico each year and the State Department estimates that about 400,000 live there permanently – nearly double the amount that did so just 10 years ago. In fact, many Americans who used to reside in San Diego, for instance, now commute to work from permanent homes in Mexico. They enjoy California earning power and the relative strength of the dollar, but simultaneously take advantage of Mexico’s more desirable locations, customized architecture, and bargain home prices. In May of this year representatives from the National Association of Realtors (NAR) met with Mexican Embassy officials in Washington, D.C. to discuss the housing market and its relationship to buyers in the USA. Antonio Ortiz-Mena, Head of Economic Affairs for the Embassy, explained that housing prices in Mexico are continuing to gain in appreciation, but have not gotten ahead of inflation as they tend to do in typical “boom and bust” cycles. That economic pattern indicates that Mexico now offers stability not seen in other countries, while representing excellent sustainable returns on investment. What may be more profound and significant is that, according to notes from the meeting posted on the official NAR Web site, Mexico “may also consider recognizing the US Real Estate license in Mexico.” Meanwhile the Embassy is working with both AARP and Medicare to discuss how to facilitate the transition to Mexico for American retirees. The Embassy plans, for example, to launch a test project in nearly a dozen cities to find out more about how to make moving to Mexico more seamless for citizens of the USA. 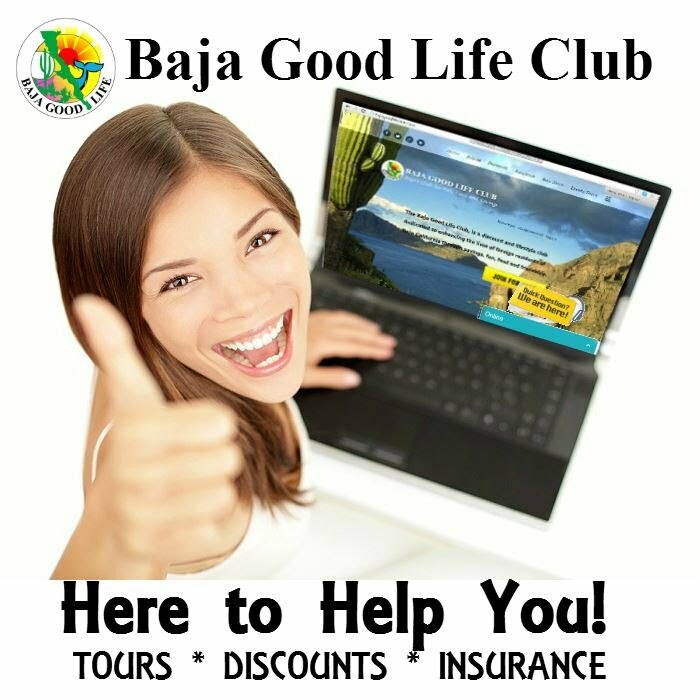 Fueling these kinds of initiatives is the historically unprecedented fact that Baby Boomers are migrating into Mexico in astonishing numbers in search of an affordable and more charming alternative to increasingly expensive life in the USA. For many who are anxious about their prospects for retirement – thanks to years of lackluster stock market returns, plummeting home equity, and skyrocketing health care costs – Mexico may be the only option that makes decent financial sense. But our southern neighbor is in many ways the superior choice. Mexico offers a rare combination of pristine natural resources, beautiful but conveniently located destinations, colorful and interesting cultural assets, excellent schools, talented architects and builders, a cheap cost of living, and next door neighbor proximity to friends, relatives, or second homes back in the USA. Baby Boomers (those persons born after 1945) make up almost 30 percent of the American population. There are 78 million in the USA and the first of them turned 60 in 2006, representing the largest-ever segment of American society to hit retirement age. The purchasing power of this powerful demographic is peaking at a time when Wall Street and the real estate market are both in complete turmoil and lack the stability to promise reliable investment quality. But American confidence in the Mexican economy and the nation’s political stability is stronger than ever, and this new breed of young-at-heart seniors is not interested in retiring into a life of convalescence. A National Association of Realtors study found that the 50-plus age group travels further distances than any other age group and spends more time vacationing now than they did a decade ago, when they were ten years younger. They are more active, wealthier, and more interested in and experiences in different cultures than their aging predecessors were. A recent AARP study found that they are, to put it bluntly, more adventurous. They are not, however, reckless. The same AARP research also found that Boomers are prudent and careful when it comes to risk-taking, and that extends to their investment outlook and management of assets and finances. Lucky for them, changes in Mexican law have made it significantly safer and easier for foreigners to own property, and major U.S. companies have begun offering mortgages and title insurance in partnership with Mexico’s real estate industry. Such practices provide needed reassurance, security, and comfort to Americans considering purchases in a foreign country, because they can transact business with trusted institutions according to familiar terms, methods, and conditions. Those planning to buy in Mexico should keep in mind that contracts are drafted in Spanish and – at least for now – real estate agents in Mexico are not required to be licensed. But many reputable brokerage companies –including such prestigious ones as Sotheby’s – have branches in Mexico and can guide clients and offer help with selecting competent and skilled local professionals including lawyers, building inspectors, and contractors. The most important restriction to foreign ownership of real estate is contained in the Mexican constitution. It states that foreigners cannot own property within 60 miles of the border or 30 miles from a coastline. That used to be a compelling reason to avoid Mexico, but recently the rules have changed to encourage investment. Now there are two legitimate and easy ways to circumvent the problem, and those are 1) the use of a Bank Trust and 2) corporate ownership. Several major Mexican banks can create the Trust (Fideicomiso) in exchange for set-up and annual maintenance fees. Rather than give direct ownership to the foreign buyer, it establishes a bank-managed trust account to hold the legal title to the property on behalf of the foreigner. Trusts can be established for 50 years into the future and renewed at any time. The costs to set up the trust vary, but average $500-$800 plus about the same amount in annual maintenance fees. The property buyer is granted all rights of enjoyment of the property including the ability to remodel, mortgage, sell, or leave the property to heirs. Bank trusts are established by a Mexican attorney, the forms are standardized, and the procedure – which usually happens at closing – is routine, thanks to the large number of foreign property owners. 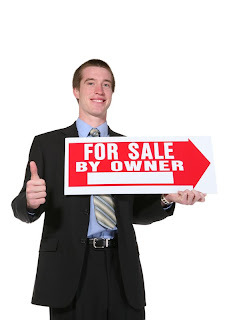 Ownership of property through a Mexican corporation is another excellent option. As long as at least two people – for example, a husband and wife – are in the corporation, it can be wholly owned by foreigners. Once incorporated, the corporation can own property outright, completely eliminating the need for a Fideicomiso trust. Corporations can also legally rent and lease property, which is advantageous for those who want to divide their time between the USA and Mexico or who want to buy now but not live in the property until a future retirement date. Establishing the corporation is a relatively simple process that takes about six weeks and costs around $2,000. Traditionally, real estate purchases in Mexico meant paying a lump sum in cash at closing. Fortunately, regulations have been updated and now cross-border mortgages are available through major financial institutions that have representatives in Mexico. Title insurance is used to protect owners if the title turns out to be invalid or if there are legal claims on the property, and works the same way it does in the states. Large, well-known U.S. title insurance companies can arrange insurance as well as escrow services to protect the buyer’s down payment until the transaction is completed. 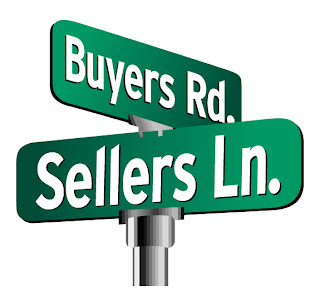 Generally the seller will pay the real estate brokerage fees and the buyer is responsible for other total closing costs such as escrow fees and title insurance. The total cost is roughly comparable to those typically paid in the USA. Real estate transactions in Mexico are usually closed in about 60 days for a cash transaction or 90 days for a mortgage-financed purchase. Before buying property anywhere – even in one’s own hometown – it is important to gain a familiarity of the location to understand particular nuances that cannot be realized by simply walking through a home or driving around a neighborhood. Experience the area first hand, by visiting or vacationing there. Get to know the neighborhood and talk to people, including both natives and transplants. Putting some time and effort into due diligence – or investing in the cost of having someone trustworthy and knowledgeable do it for a professional fee – is always recommended before buying real estate. The best thing about doing this kind of research in Mexico is that the project can be dovetailed into a wonderful excuse for a vacation in one of the world’s prime holiday destinations. Plan the excursion ahead of time because it may also be possible to offset some or all of the trip expenses as investment planning or a real estate business deduction. About the writer: Tom Kerr is a freelance travel and finance writer based in the USA. Evening seems to fade more gently in Mexico, when everyone comes out to enjoy the coolness of the evening. Vendors set up their carts at the edge of the square, preparing tacos, hotdogs, churros, or papas fritas. Another vendor with balloons arrives, as well as the ice cream man with his little cart and bell. Families head to the zocalo. The children are giddy with energy, ready to run free up the steps of the gazebo, laughing as they race across the wooden floor. Older couples stroll under the flickering shadows of bougainvilleas and palms. Young couples in love sit together on park benches, speaking in low tones. This is my romance with Mexico as day slowly fades away, the sunset taking its place, eventually turning into the black of night. As darkness envelops us, everyone drifts back to the casa. I am in Puerto Peñasco, hardly a colonial town of Old Mexico. And yet, one summer evening, we were invited to go to the Malecon at sunset to hear live music. On a hot and humid Sunday night, I discovered that this tradition is alive and well here in tourist-trodden Northern Mexico! It was just as it should be, with strolling families, energized children, young couples in love, older couples sitting quietly, and the young people flirting and laughing. The vendors with their various snacks, the ice cream man with his cart, and even the girl selling balloons were all there. As we arrived and I saw the band set-up, complete with conga drums, I realized the music might just be perfect. The band plays not on a bandstand, but out on the edge of the road. Up the concrete tiered steps are hundreds of townspeople and families mingling with all of us: the foreigners, the tourists, and the visitors. In this is a beach town, our backdrop is simply over-the-top: a stunning sunset over the water as the sky turns from pastel pinks and blue to deep, intense fiery reds and orange. Added to this are small fishing or pleasure boats on the water, an assortment of sunset cruise boats in every size and shape, including a pirate ship with its fireworks display, and the grand concrete columns and colored lighting of the boardwalk itself. Here the stage is set for a romantic evening. 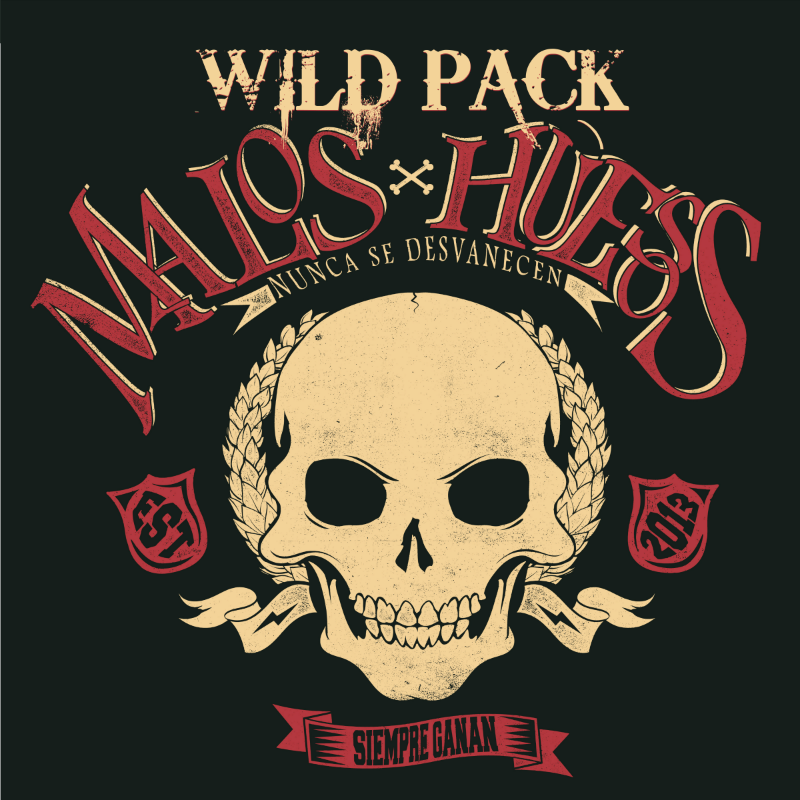 The music does not disappoint, as it is a mixture of Mexican Cumbia, Cuban, and Caribbean. Off to the side, two ladies are dancing with their babies. One man gets up and starts his crazy dance; he has so much energy! He soon finds a partner and they swirl back and forth on the concrete. Other people are dancing, occasionally interrupted by small boys bicycling across the floor. People come and go, continuing a stroll along the Malecon or heading off to their dinner plans. I sit and watch and am mesmerized. Here at the Malecon on this Sunday night, I unexpectedly found a romance with evening in Mexico again. 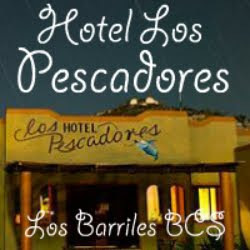 This was not the first time I was pleasantly surprised by music at Puerto Peñasco. Last year, we attended Jazz by the Sea. It is great to see that this event appears to be an annual event, as it is a featured event this October 4th. What a fantastic evening of Latin jazz, food, and wine. The venue was outside and informal, but with subtle classy touches of white tablecloths and wine glasses. As always, the stunning sunset over the water made for the perfect backdrop. In July, I joined the Uncommon Women on Common Ground for a sunset cruise. (Just to get it straight, I have no aspirations of being in any real way “uncommon”; however, being just a “common woman” sounds a little uninspiring.) These ladies are pretty great, and we had a blast that evening. The highlight of this cruise was when one of the truly “uncommonly talented” daughters got up and performed some very beautiful belly dancing just as the boat turned around and the sun set in the sky. To dance on a boat is, to me, true talent. Once again there was another great moment of dance, music, and sunset! Tradition, music, and talent are all alive and well here in Puerto Peñasco. I eagerly await the next unexpected moment when music blending with a sunset makes me love this place a little more. October 3 & 4: 45th Annual San Diego-Ensenada International Yacht Race. Call U.S. tel. 619-222-0438. October 12: Real del Castillo Festival 10am-8pm: Celebrate the anniversary of this historic former gold mining town Call Beatriz Toboada, tel. (646)178-6038. 1-9pm: contact CANIRAC, tel. (646)174-0448. Thru October 15: “Un Canto a los Desiertos Fértiles (A Chant to the Fertile Deserts)” Painting Exposition by Rubén García Benavides CEARTE. Call (646)173-4307 & (646)173-4308. Engravings by Tijuana artist Elena Pomar are on display Instituto de Cultura de Baja California. Call tel. (646)177-3130. Thru October 28: “Album de Familia (Family Album)” Photography Exposition Free admission. Info: CEARTE, tels. Call (646)173-4307 & (646)173-4308. Oct 11th: * San Felipe Too Much Fun Pete’s Camp Poker Run (km166) at 9am, and the Poker Run begins at 10am. Visit www.petescamp.com or call (951) 694-6704 for registration and information. Oct 12th: Dia de la Raza – “Day of the Race” celebrating the Hispanic heritage of Latin America and all the ethnic and cultural influences that make it distinctive. Oct 13th: Columbus Day (US Holiday) – US Holiday celebrating Christopher Columbus’ arrival in the New World. Oct 13th: Columbus Day pig roast at Juanito’s Cantina in El Dorado Ranch. Oct 14th: Full Moon Mixer at El Dorado Ranch. Oct 15th: Golf Scramble at El Dorado Ranch. Oct 17th: Cigar Night at Red Lobster Restaurant, call 577-0483 for more info. Oct 18th: Water Volleyball Tournament at La Palapa Poolside Bar & Grill in El Dorado Ranch. Oct 24-26th: * The 4th Annual Charity and Celebrity Golf Classic at El Dorado Ranch. For more information contact the Universal Golf Foundation at (686) 576-0517 from Mexico, or (800) 404-2599 ext. 4417. Oct 25th: Halloween party for kids at El Dorado Ranch. Oct 31st: Halloween costume party for adults at Juanito’s Cantina in El Dorado Ranch featuring: treats, good food, prizes, and a lot of fun for all participants. 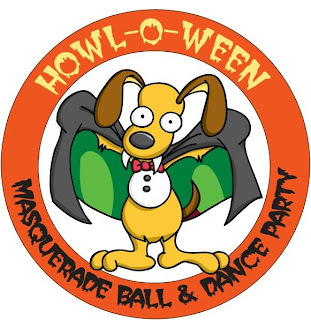 Oct 31st: * 6:00 p.m. - 11:00 p.m: “Howl-o-Ween” Masquerade Ball & Dance Party for Pets and their Folks. 707-320-4969 from the U.S. or 577-2708 from San Felipe. Cost $20. October 4 - “Jazz By The Sea” More Info. Call 1877 843 3717. October 5 - “Rocky Point Challenge” (Fleet Off Tucson, Arizona). At Playa Bonita Resort. Residents Of Tucson Sail. The Waters of Rocky Point. More Info. Call: 1-888-232-8142. Include event name, dates and times, description and contact info. The festival comes complete with folkloric dancers, mariachis and live music from bands from Tijuana and Rosarito. Most of Baja’s wineries will be there alongside Tecate and other beer companies. There are contests between the restaurants, even a contest where waiters run all around the village carrying a tray with three glasses and a bottle of wine. 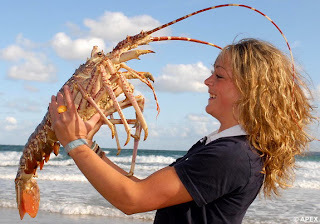 The festival is open to the public; visitors will be able to buy a ticket for a lobster dinner. www.puertonuevolobster.com. Halloween is a big deal in San Felipe. Last year, many parties and events happened in town during Halloween. For instance, the Tattoo Rose Cafe’ held an art exhibition by Adrena Joyce, with great “Day of the Dead” paintings and great food and costumes. Michael and Gail Gates hosted a fabulous costume party, and Denny and Sandi Flannigan had their Halloween bash at El Dorado Ranch; there was so much Halloween spirit and mystery that night---not to mention some really cool costumes, too. This year, ZAPP is onboard with a “HOWL-O-WEEN MASQUERADE BALL & DANCE PARTY” at the BeachComber on the Malecon, Friday night, October 31st, from 7-11 p.m.---slated to be the scariest and most enjoyable event of them all! The event is complete with live DJ, emcee, delicious hors d’oeuvres and seasonal treats prepared by Chef Mark and donated by Sundance. There are dance and costume contests with great prizes to be won. Adrena Joyce will debut her new collection of “DAY of the DEAD” paintings. All this is in an effort to raise funds for ZAPP’s 2009 Spay/Neuter Project. Come on, join us and let’s party! Tickets are just $20. Do not miss it! We look forward to seeing you.